Illumin8er® is one of the largest, brightest, and most versatile work lights on the market to date. The Illumin8er® uses 390 LEDs and flexible robust construction that allows it to reach every nook and cranny of a work site. The Illumin8er® is also very tough so it can be used with almost every project whether it be in a construction site, mechanic shop, or home projects that need the best lighting. 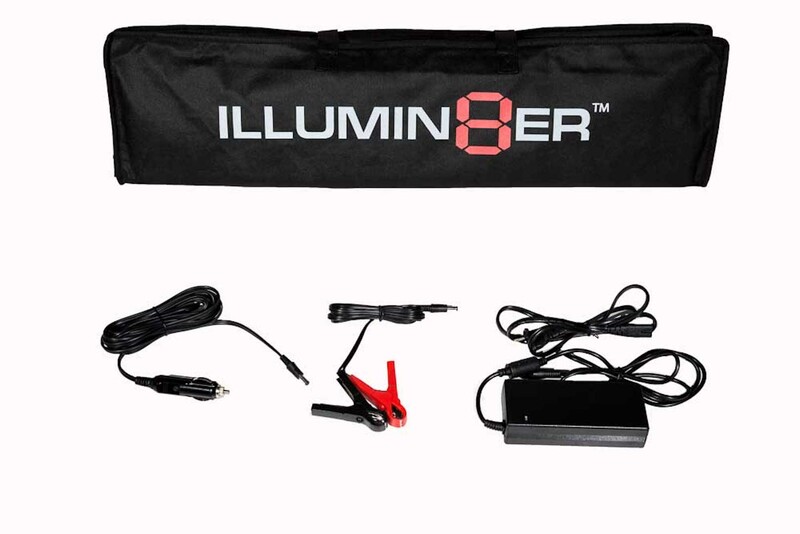 The Illumin8er® work light combines sturdy materials in a flexible mat form providing maximum versatility. It can be used to flood any space with ample, clear light without the hassle of hot fragile incandescent bulbs. The Illumin8er® is so strong it can be driven over to provide light for wheel wells. Whether you’re a mechanic who needs a quality shop light or a homeowner who needs a tough project light, Illumin8er® can light the way. From the new entrepreneur with a startup to medium-sized enterprises and large corporations serving customers worldwide, our legal team is prepared to assist with all aspects of your business.